For many, it seems like we are living through a period of darkness and conflict. The Internet has given rise to an unprecedented level of anonymous hatred and vitriol. Further, it seems that political discourse on both a state and national level has been incredibly polarizing with neither side of the political spectrum recognizing any form of common ground. At New Direction Family Law, we seek to defy hatred and negativity, and to celebrate the positive. June is National LGBT Pride Month and we are proud to celebrate this month with the North Carolina LGBT community. Throughout the 1950’s and 60’s anti-gay sentiment was codified in laws across the country and there was little cohesion or unity among LGBT people and groups to advocate for the laws to change. In fact, LGBT people often had to hide their true selves in fear of arrest or violence. During these times, it was common for police in major cities to conduct frequent crackdowns of bars and clubs where LGBT people would congregate. In 1969, police conducted a raid of the Stonewall Inn in Greenwich Villiage, New York City, which would be a turning point in the mistreatment of LGBT people in America and the beginning of a movement. In the early morning hours of June 28, 1969, the police conducted an unannounced raid on the Stonewall Inn, a Mafia-run bar that was popular amongst LGBT people in New York City. This raid was unusual in that it had been customary for police to tip-off the club that there would be a raid, line people up to examine their identifications, and arrest those who refused or did not have an ID on them. Not only was the raid at the Stonewall Inn unannounced, but the police conducted their ID checks in a disorganized, chaotic manner. As time passed, a crown of people in the street outside the bar began to grow, becoming increasingly agitated by the police department’s conduct and the sentiment that this raid only occurred because the police were not paid off. Eventually, the police department’s mishandling of the situation, as well as a large, angry crowd, resulted in two nights of violent riots. The Stonewall riots would mark a turning point and call to arms for LGBT people in America. The national media coverage and the universal feeling of mistreatment led to the creation of numerous gay rights organizations, to several LGBT newspapers, and to major annual gay pride parades throughout the nation. Given its historical importance to the LGBT community and movement, National LGBT Pride Month was established in June to commemorate the anniversary of the Stonewall riots. 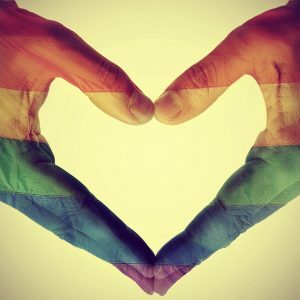 If you are interested in becoming involved in the local LGBT community, visit the LGBT Center of Raleigh, which has a calendar of events and programs for adults and families. New Direction Family Law, is a family law firm with more than twenty years of experience in serving people in need of legal separations, divorces, child custody orders, and protective orders. If you need legal assistance, call our office today at (919) 719-3470 to schedule an appointment or online at our website. We serve Wake, Johnston, Lee, Harnett, Cumberland, Nash, Granville, Franklin, and Durham counties.